Soo if I waked into the mall ready to spend some money and pick up a few bargains, about 2 or 3 hours later, I probably would walk out empty handed. I’m not sure why but lately I’ve not been able to find anything while shopping in stores. However if I were to hop online onto my favourite online shopping websites, I could probably add about $500 worth of clothes into my shopping cart. Obviously online shopping is so much easier and more convenient as you can sit in the comfort of your own home and add things into the cart in just one click! And as I’ve lost count of the number of things I’ve added to my cart (obviously too much for my own good!) 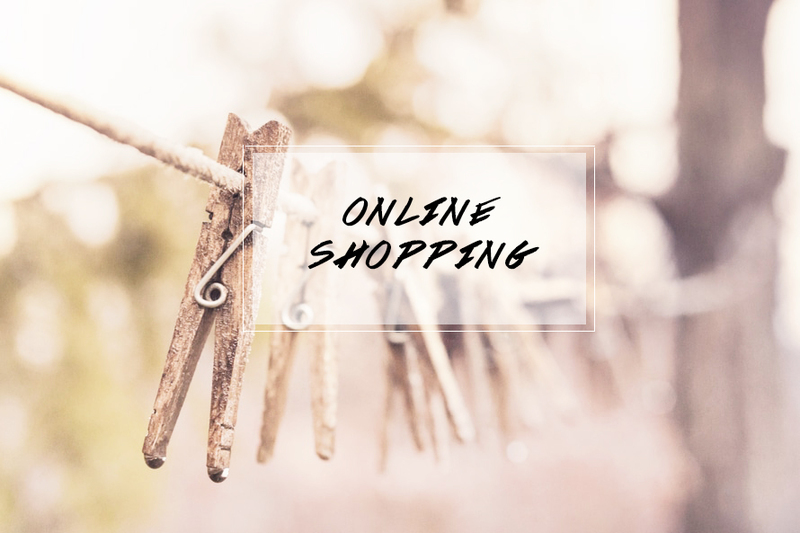 I thought I’d share a few of my tips and things I look out for while online shopping! Also, I’ve included a list of my favourite online shopping websites at the end! There are too many times to count when I’ve seen an advert pop up for an online store with unbelievable prices. I’ve even been super tempted by their clothes and added all the things I want into my cart. But luckily, I decided to check the reviews for the websites and found that the images on the websites aren’t actually the stores own images but some random image they found on the internet and decided to use as their own! The reviews showed images of the actual clothes that people got delivered and to be honest, most of the clothing looked like a piece of fabric just stitched together on one end. So, check reviews before clicking checkout! It’s super important to check the store’s online returns policy. I’m always worried that if I buy something online, I won’t end up liking it or it won’t suit me as well as it suits the model. This then means that if they don’t offer in store returns or if they’re an international brand, I’ll have to pay for the shipping price back to the store. However, luckily, I’ve found that with majority of the Australian stores, they offer free in store returns. So, if I don’t like something I’ve ordered online, I can take it to any physical store and get a refund or get it exchanged. Now sizes are probably the biggest thing I’m concerned about when it comes to online shopping. when I first started online shopping, I would assume I’m the same size for that particular online store as I am when I actually go out and shop. But this is definitely not the case. After a few hits and misses with sizes, I’ve decided to stop being lazy and actually measure myself and write down my measurements in my ‘notes’ section on my phone and laptop. So it’s there for whenever I quickly want to compare my sizes with their online size guide. But as always, if you’re a size S in one store, you might not necessarily be size S in another store. It’s always worth double checking each individual store’s size guide. Also, here’s a tip, for flowy, oversized or swing dresses, I always go for the size smaller! How many times have you walked into a store and used a code in store to get 10% or 15% discount on your purchase? Not once, am I right? I love online shopping because there are always sales going on. So always look out for discounts and coupons online and also google around to see if someone has a discount code lying around to grab yourself a bargain. And for some stores, if you sign up to be a member, you might even be lucky in getting an instant discount coupon for your first purchase! So… you’ve added everything you want into your cart and now it’s about $300 – about $100 above budget, right? Well the beauty of online shopping is you’ll actually know how much your exact order comes to before committing to the purchase and you can start taking removing the clothes that you don’t really need one by one. You’ve also got plenty of time and can do this in the comfort of your own home (and ask for opinions, maybe). This way, you’re lowering the total amount and you only buy the clothes you absolutely need/want! PEPPERMAYO – read my review HERE! ASOS – read my ASOS wishlist HERE! What are some of the things you look out for while online shopping?